A liberating 12-step guide to recognizing the emotional issues that hold us back, with strategies to increase our energy and help us reach our potential by the health and spiritual advisor to Gwyneth Paltrow. 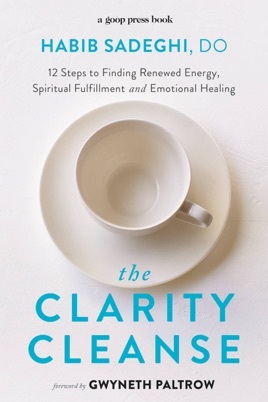 Based on the powerful mind-body strategy Dr. Habib Sadegh developed to help himself recover from cancer more than twenty years ago, THE CLARITY CLEANSE will enable you to help your mind clear and your body heal. A regular GOOP contributor in health and spirituality, Dr. Sadeghi shows you how to turn obstacles into healing and energizing opportunities. Because negative emotions actually do damage on the cellular level, THE CLARITY CLEANSE offers guidance for cleansing both your body and your mind. You will learn how to:	--Create a clear intention	--Purge negative emotions	--Practice compassionate self-forgiveness	--Refocus negative energy to move beyond doubt and fear	--Ask the kind of questions that will help your relationships. 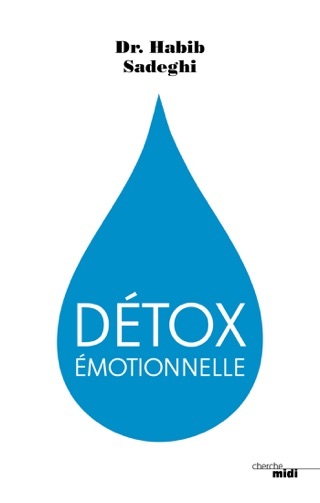 THE CLARITY CLEANSE includes Dr. Sadeghi's Intentional Unsaturation Diet, which helps support emotional cleansing by removing the residue of repressed negative emotions. The diet is designed to reduce congestion in the liver, gallbladder, lungs, kidneys, and pancreas-the organs most affected by feelings such as resentment and anger. Dr. Sadeghi's friends at GOOP have offered eighteen recipes to help make this cleanse delicious. Following the twelve steps in this book will help you to achieve a sense of peace and control, raise your self-esteem, and assert yourself in new ways to achieve positive and lasting change. Then, finally, you will be able to express your true, authentic self.